Make way! Make way! 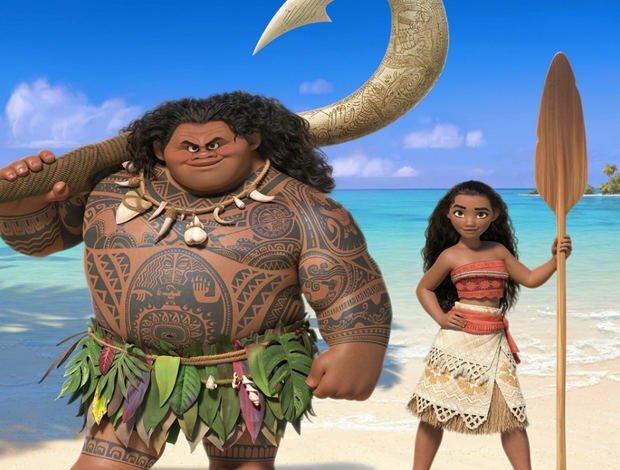 Moana and Maui are coming to Sky High. The hit film is adored by girls and boys of all ages and tells the tale of true adventure, sacrifice and heroism. Whether you have a wannabe brave Moana or a loud, proud, demigod Maui, you’ll want to bring them to Sky High for an event like no other. You may have witnessed the magic of Moana at Sky High’s Moana party in 2017. Well she’s back and this time she’s convinced Maui to make an appearance! Six foot of pure brawn and self-belief – you do not want to miss this! Ladies, leave the Dads at home, this one is for you. We’ll have the soundtrack turned up loud, including the hits ‘How Far I’ll Go’, ‘Shiny’ and ‘You’re Welcome’. There’ll be prizes for the best costume (fancy dress is optional) and the best bouncer. Free mini slushies and a Moana cake for every bouncer. And best of all, Moana and Maui* will be making a special appearance at the park to meet your little ones and inspire them with her amazing adventures. 10am session – tickets are £10 per person (children aged 5 and over can bounce on the trampolines unaccompanied but there must be an accompanying adult present in the park). 2017’s Moana parties sold out in advance so please pre-book your tickets to avoid disappointment. Book your tickets now online or just call us on 01273 580029. *Moana and Maui are, of course, fictional characters…we have actors in costume from Pegasus Parties and Productions appearing at the park.